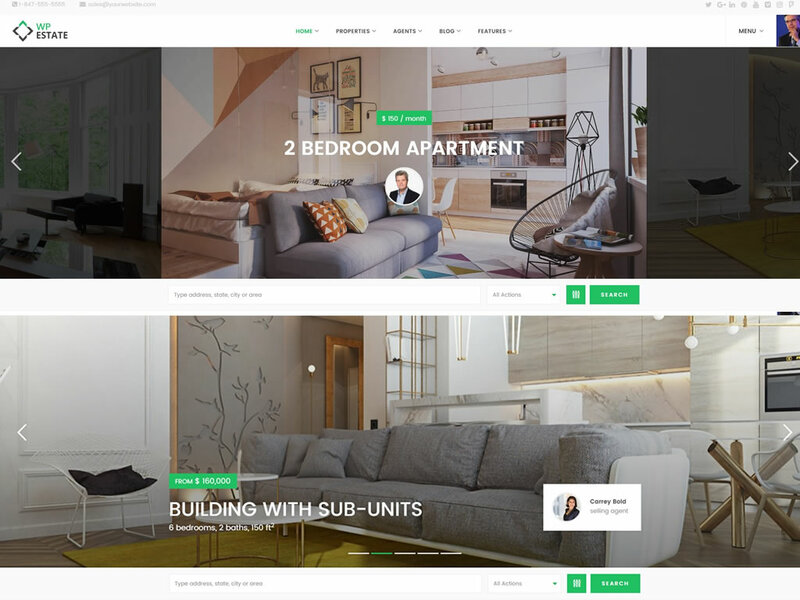 Wp Estate theme is the result of 4 years of continuous development focused on creating the most powerful real estate theme. Take a quick look at some of the features Wp Estate comes with. This is a very powerful theme for your most important real estate needs. 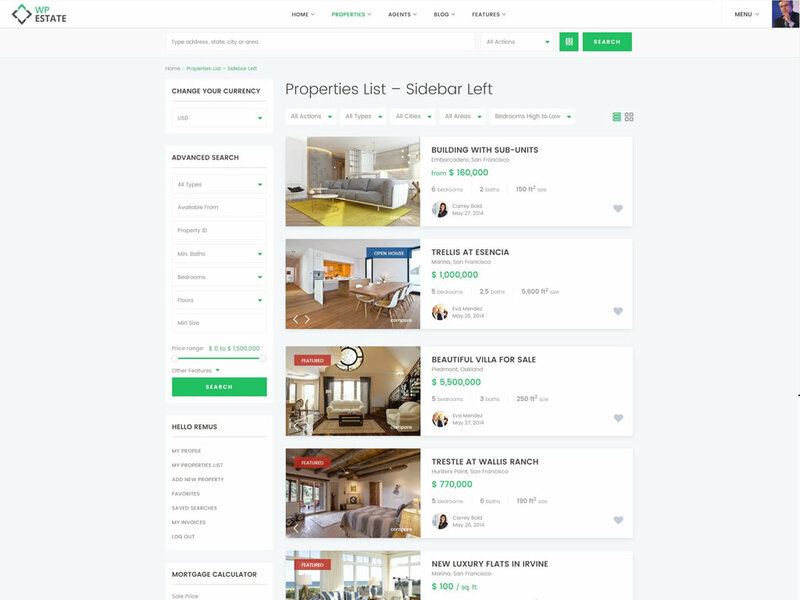 New 4.0 version comes with over 300 neatly organized settings, all developed to help you build a powerful and modern real estate website. 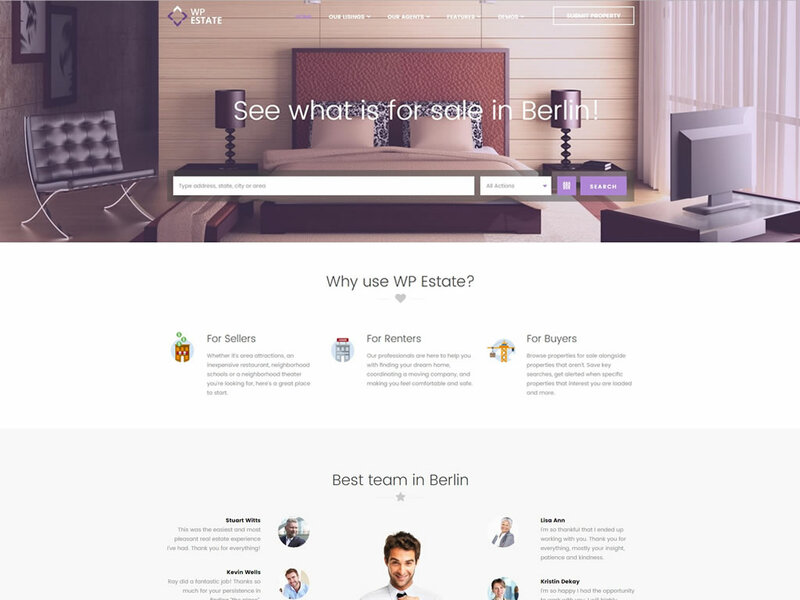 This is a unique feature which you’ll find only with Wp Estate theme. 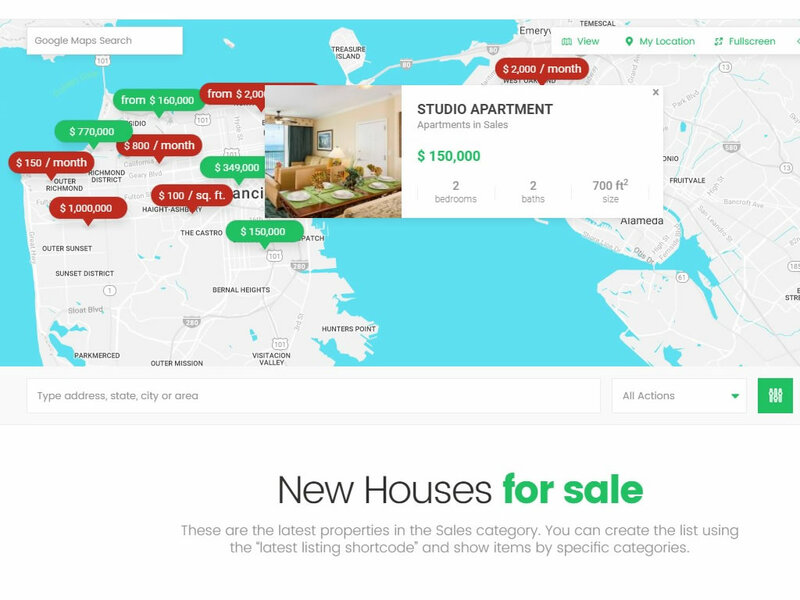 The pins on the map will reflect the property price, making it extremely easy for users to find properties in their price range. 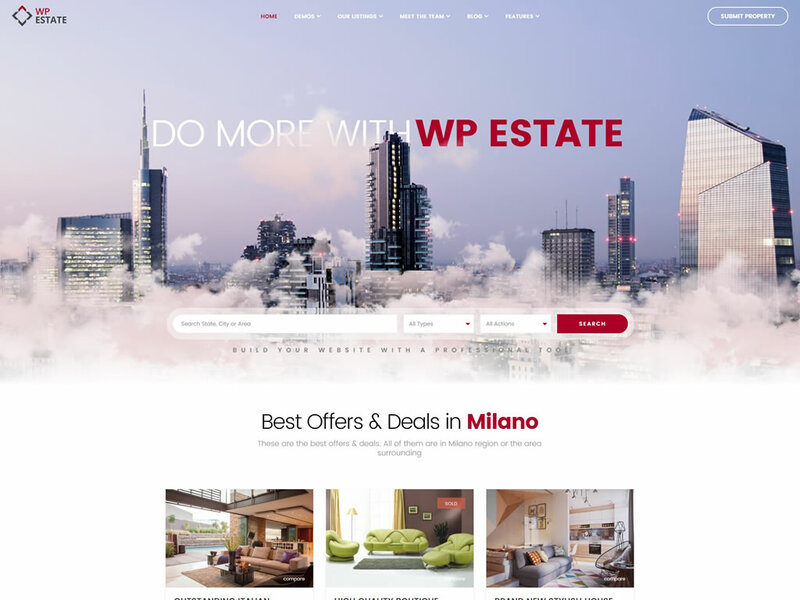 It’s very easy to find your properties on Google Maps with Wp Estate. 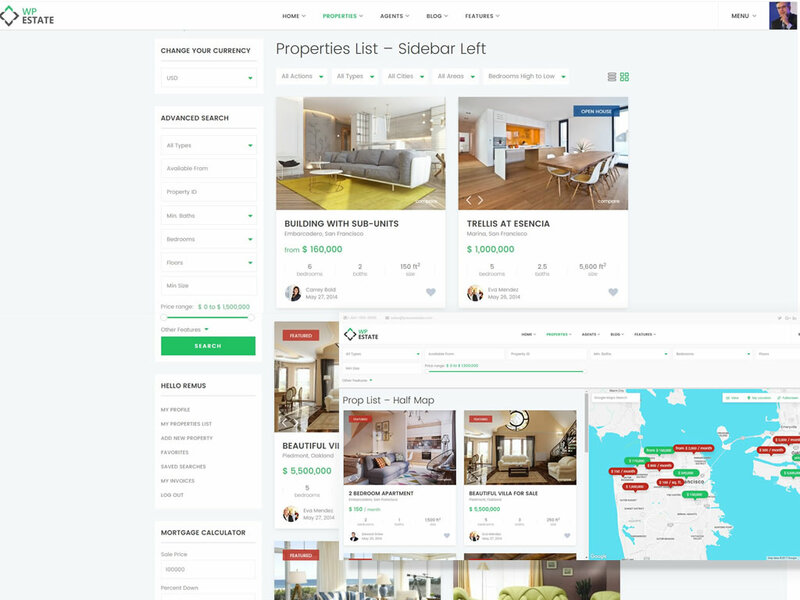 See results nearby your location (with geolocation option) or find properties by specific elements (city, area, bedrooms no and many more) . Add unlimited search fields, including your own custom fields. There are 6 search types to choose from, including a type with search with auto-complete for city, area or state and a type with keyword title field. 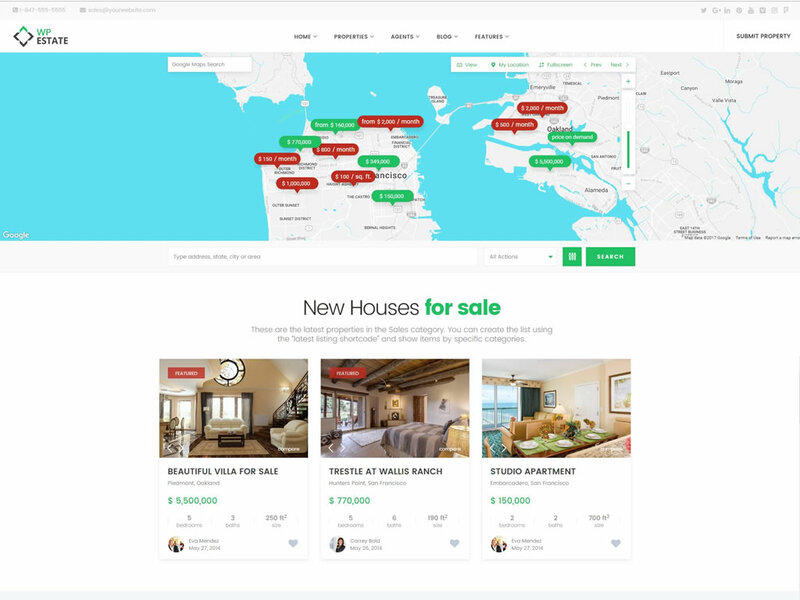 Each property can have its own custom image pin on the map or you can enable pins with price, so it’s easy for the users to spot the type of real estate listing they’re looking for. 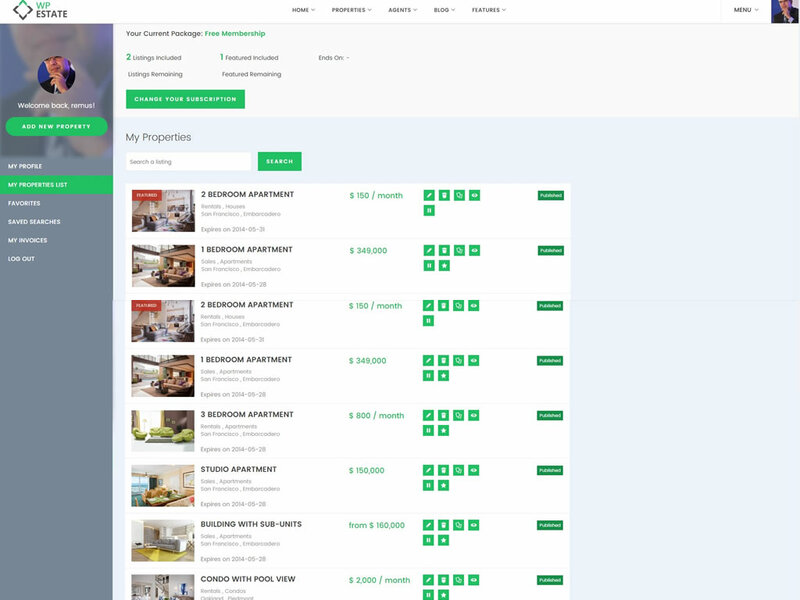 Enable Paid Submission and set your own price for a single property submission. You can also add an additional price for making that listing featured (always first in lists). 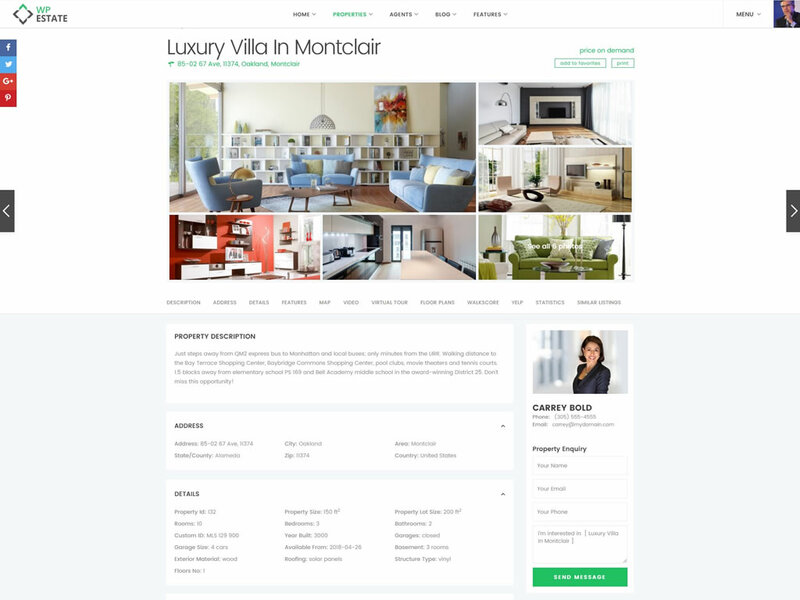 You can use Wp Estate to create your own personal website, with a modern design and with all the tools you need to attract more buyers for your properties. 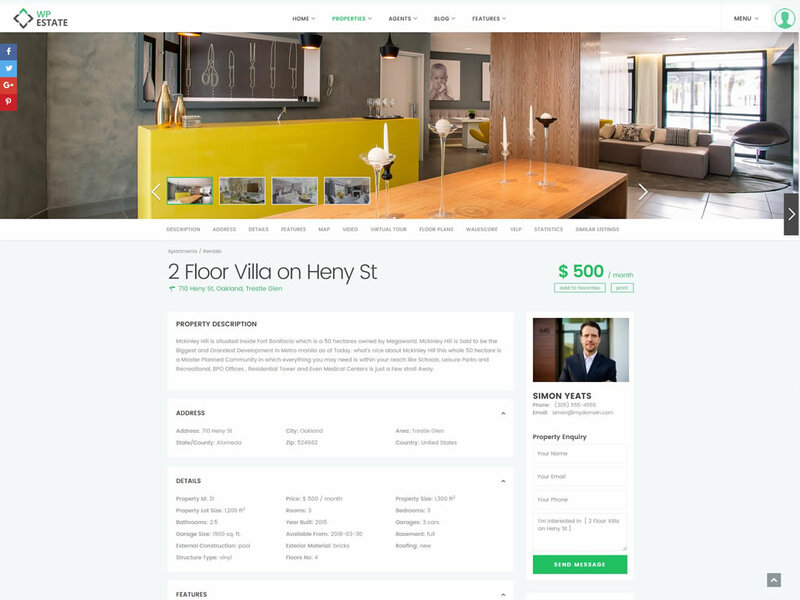 Enhance your real estate properties with virtual tours added directly in the the property page. Optionally you can also add a video from vimeo or youtube to attract more buyers. 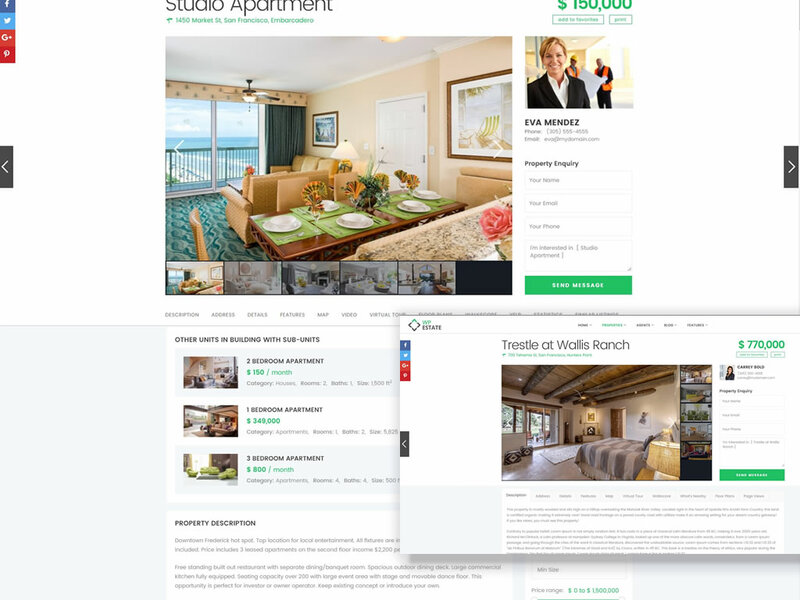 Our portfolio includes two best seller themes: WP Residence (real estate theme trusted by 9800+ clients) and WP Rentals (a booking accommodation theme trusted by 2800+ clients). Find our more after you click on the images below. You are purchasing from Envato Elite authors, with proven 5-star record for customer support and more. We are here to help with any question you may have. 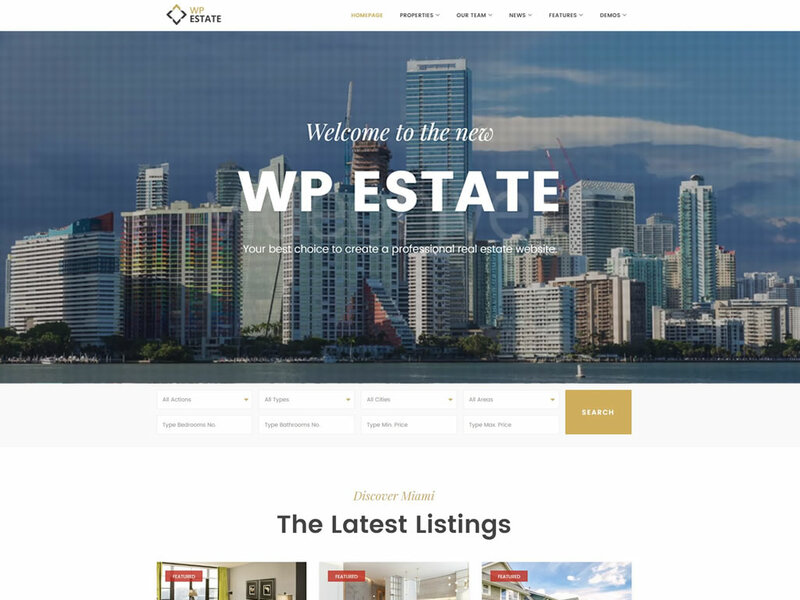 As Wp Estate client you get access to an extensive help document, with 200+ help articles and a dedicated support team to help with any theme feature available.